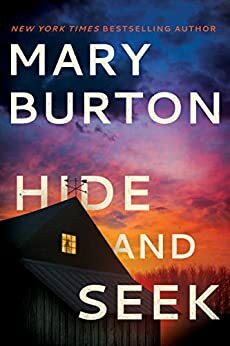 Reading the Mary Burton books in order takes us across a wonderful world of romantic-suspense mysteries, with series such as Senseless, Texas Rangers, Morgans of Nashville (my favorite series) and her latest one, the Forgotten Files series filling our bookshelves. The author has also written numerous standalone romantic suspense novels, with two ones published in 2018 with the title Her Last Word and Cut and Run. Here are the Mary Burton books in order for her romantic suspense novels under her name. Mary Burton grew up in Richmond, Virginia and graduated from Virginia’s Hollins University. She also lived in Alexandria for four years. Her first main job, before becoming a writer, was in sales, marketing, and public relations. She knew, however, that the tales buzzing around in her mind had to be told on paper. Mary Burton was raised up in a family of storytellers. Her grandfather would always tell stories and her mother was gifted as such as well. When she left her career in marketing, she and her husband had a 20-month-old and they had just adopted a 5-month-old little Russian girl. Mary needed to stay home to take care of the kids, so being always at home, she found easy to start writing books. She would spend 3-4 hours a day writing and would attend writers’ meetings during the weekends. When she started to write full-time, the first things she wrote were historical romance novels, published by Harlequin Historicals. Mary Burton wrote 12 historical romances (with the first one published in 2000), however not long after, she transitioned to writing romantic suspense books, which in my personal opinion contain a bit more suspense and thrill than romance. She did the switch on a very strict schedule since she had two babies at home to also take care of (a 6-month-old baby adopted from Russia and a 19-month-old baby of her own). All her romantic suspense novels deal with horrific crimes done by serial killers and the hunt for these ruthless monsters. In order to give the most realistic image of such monsters to her readers, Mary Burton attended and graduated from the Henrico County Citizens Police Academy, as well as from the Richmond FBI Citizen’s Academy. She also took part in the Sisters in Crime’s Forensic University program. She did undercover work with police officers and attended seminars involving various aspects of the police business, including forensic autopsies. The author is a member of various book organizations including that of Romance Writers of America, Sisters in Crime and Mystery Writers of America. Under the pseudonym Mary Ellen Taylor she writes contemporary novels. Over the years her books have received several awards, including the Lifetime Achievement Award by the Washington Romance Writers. When not writing books, Mary Burton loves staying and home, while cooking and baking. I started reading the Mary Burton books in order from the very first one I got my hands on maybe some 10 years back when I couldn’t get enough of the romantic suspense genre. I remember the book was called In Dark Waters. I couldn’t get tired of learning about new authors in this genre – one that I first got to learn about and love from Sandra Brown, and one thing led to the other, and I was introduced to the wonderful work of Mary Burton. The Hangman, published in 2017, is part of The Forgotten Files. It is a romantic suspense thriller series with lots of gore and turning your head away moments. The Last Move, also published in 2017, is a standalone novel. The book features Theo Mazur, a detective in San Antonio who comes across an eerily familiar crime scene which gives him pause because it reminds him of some older cases solved by FBI agent, Kate Hayden. So now Theo and Kate have to investigate those latest killings because if Kate had arrested the wrong guy, the original serial killer might be loose and going after new targets. A new book was published May 2018 with the title Her Last Word. It is yet another psychological suspense novel, this time featuring Kaitlin Roe who once witnessed her cousin, Gina, being taken away, while she ran away in cowardice. She has been always feeling guilty about it and now, as a grown woman, she desperately wants to find out what happened back then with Gina. When one of the witnesses she interviews ends up dead, Kaitlin is afraid that she’s stumbled into a very stingy hornet’s nest. Detective John Adler, who is investigating the cases, knows that keeping Kaitlin alive and protecting her is extremely important to him. 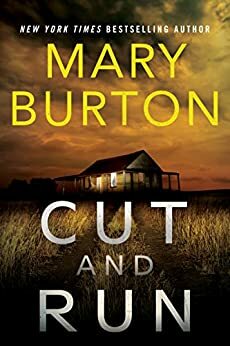 Cut and Run, another standalone Mary Burton book, published in 2018, is a bit more thriller than romantic suspense. Faith McIntyre is the active medical examiner who is examining the body of a man. After the examination, Faith tries to contact the person’s family, Macy Crow. This leads to a hit and run, and to a very likeness of Faith to the victim, not to mention attracting the attention of the killer. All romantic suspense novels by Mary Burton are focusing on serial killers, on gruesome crime scenes and on dedicated detectives or FBI agents who want nothing more than catching those killers before they do more harm. And if some passions ignite between the various officers of the law during their investigations, well, that’s why the books are in the romantic-suspense genre, after all. Her books involve shifting points of view and allow for a deeper exploration of the dynamics among her main characters, while they also focus on various modern various forensic and detective procedures that are employed these days by the police in their inquiries. To keep up to date, Mary Burton at times takes shooting lessons at the firing range, goes to forensic seminars and interviews police personnel. The Mary Burton books in order for her series should be read in proper chronological and publication order, however, her standalone novels can be read in any order you choose. Besides romance and romantic suspense novels, Mary Burton has also written a non-fiction book titled The Insider’s Guide to Direct Marketing, which aims to help businesses generate leads, get new clients and keep the existing ones. The author Mary Burton is also writing under the pseudonym Mary Ellen Taylor, where she focuses on women’s fiction. She writes the Union Street Bakery series, a chick-lit/cozy series, and Alexandria, a historical/chick-lit series.